AD1 Global has been expanding and acquiring new properties, and together with ONPEAK Energy has designed a strategy to be more sustainable and help with the reduction in emissions by implementing some changes to the assets they manage for their Wyndham Gardens Tallahassee Capitol property, ONPEAK Energy designed a tailor-made efficiency solution that included electricity, water and maintenance savings. ONPEAK Energy is a Florida-based Efficiency Consultancy Company that works with building owners to evaluate, install, and help finance investments in energy-saving equipment. For Wyndham Gardens, after understanding the condition of the property, ONPEAK proposed to replace their oldest PTACs in rooms and hallways, install a new smart and centralized room temperature control system. Since all the bathrooms were going to be renovated, ONPEAK went further and proposed as well to replace the toilets with new pressure assisted toilets, which reduce 39% of the water consumption per flush. ONPEAK was able to create this customized turnkey solution that had no negative cash flow impact and allowed AD1 to get this project done without impacting their budget; all the investment is paid back by savings generated with new and more efficient components. Replacement of old PTACs with new efficient PTACs. With 5 years parts and labor warranty. New and smart room controllers: Room’s temperature controllers were replaced with new smart technology thermostats. These thermostats have an integrated room occupancy sensor and can switch the room’s temperature setpoint to a different one when the room is empty. Pressure-assisted toilets: Since all the room’s bathrooms were going to be renovated, it was the right time move to pressure assisted toilets. These toilets use 1.1 gallons of water per flush (GPF) while old the old ones can use up to 1.8 GPF. To avoid the need to tap into the Hotel's operating budget, ONPEAK presented a financing model that allowed AD1 to execute this project and repay it with the savings generated. With the new PTACs, the property will achieve up to $2,450 in power and maintenance savings. Besides, the new thermostat's system can achieve up to 1,800 kWh per year per room, translated into $23,976 per year. 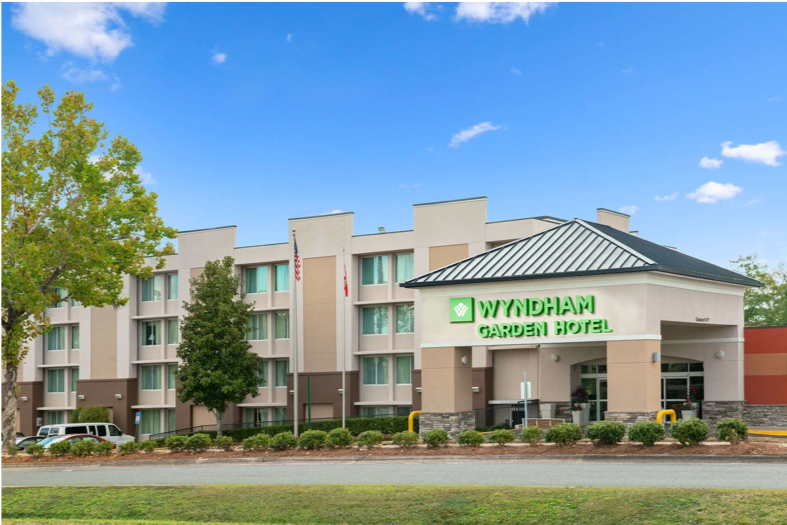 Also, with the new pressure assisted toilets, Wyndham Garden Tallahassee expects to save up to 151,460 gallons of water per year and save up to $4,101 in water and maintenance costs. With all these upgrades the property will save up to $30,527 per year, executed without any upfront payment or affecting their cash flow, since the savings achieved are higher than the monthly payment amount for these projects.